Like old home movies of your embarrassing childhood moments, Kyoto is proof that sometimes you can’t escape history. Kyoto is home to more UNESCO World Heritage Sights than any city on earth. One can hardly walk down the street without bumping into a dramatic Heian period castle, an austere Shinto shrine, or a lush yet obsessively maintained Zen garden. Amidst all this history, a small but dedicated group of individuals are crafting something new to Kyoto: a microbrew scene. 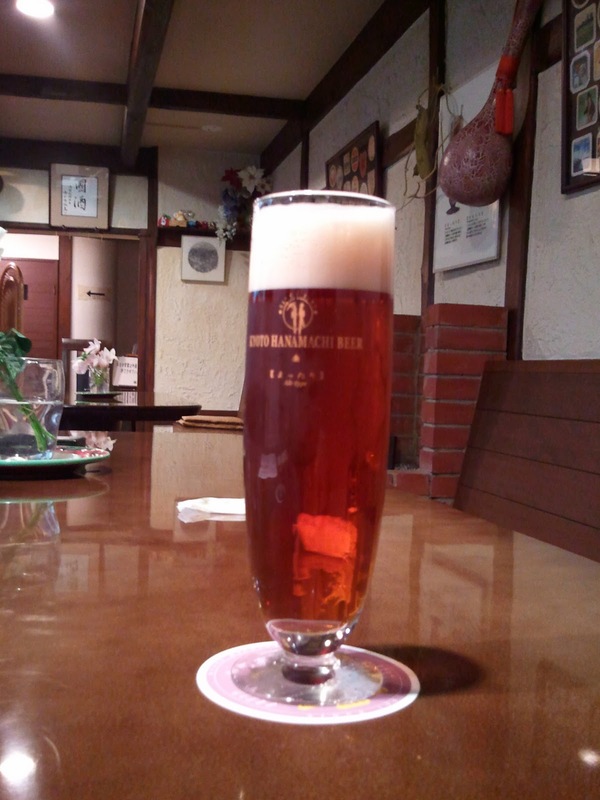 While my time in Kyoto was admittedly short, I managed to squeeze in 2 beer trips of note: Tadg’s Irish Bar and Restaurant (known for its selection of local craft brews) and the Kyoto Machiya Brewery. Tadg’s (www.kyotoirish.com) is an Irish ­­bar located in the Pontouchou nightlife district of Kyoto. Situated on the 8th floor of the Empire Building, Tadg’s offers gorgeous, sweeping views of the tranquil Kamo River and western Kyoto. A small jazz trio played silky and sumptuous grooves while I sipped some local brews. There were about 7 local craft brews on draught when I visited. I tried the Shuzan Kaidou amber ale and the Hino A.J.I. Weizen hefeweizen. 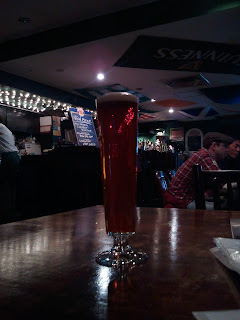 The Shuzan Kaidou amber ale was amber/mahogany in color yet was clear enough that I could see through it. Roasty and burnt caramel notes were initially strong but dissipated quickly. The beer’s body was surprisingly light for its somewhat heavy taste. This beer could have used more malts for a thicker mouth feel and a more balanced follow-through, but all in all it was pretty tasty. The Hino A.J.I. Weizen was more like a lambic than a hef. I didn’t pick up any of the traditional banana or bubblegum esters that are characteristic of the style. Instead, this beer was light yet sour and acetic. Perhaps I was unfair by drinking a Paulaner Hefeweisse-Bier side by side with this hef and comparing the two, but I think this brew could use some work. It certainly wasn’t horrible and I drank it without a cringe, but it just was not how a hef should be. The following day I made a trip to the Kyoto Machiya Brewery (www.kinshimasamune.com). The brewery was quite the pleasant surprise. It’s insidiously difficult to find as its tucked away in an unsuspecting residential neighborhood. The small tap room is attached to the Horino Memorial Museum. 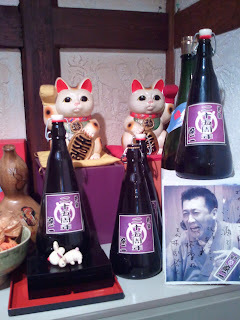 The brewery is an offshoot of the 250+ year old Kinshi Masamune sake brewery. The beer here is all brewed by just one woman and she does a fantastic job. All of the beer was served by a kindly old lady who took pride in the beer and sake the brewery produced. She was extremely helpful in answering questions about the beer and was quick to offer her recommendations and thoughts on the beer. Her hospitality certainly put a welcoming and friendly face on this tiny brewery. On to the beer! The brewery offers 3 varieties: a dry stout, an alt, and a kolsh. All were delicious, but the alt and the kolsh were amazing. 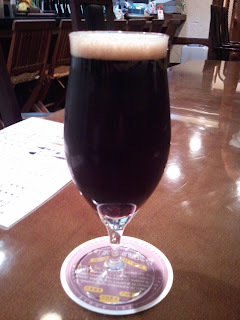 The dry stout had a thick white head that took a long time to sink into the dark abyss below it. Rich roasted malts and coffee flavors dominated the palette. A smooth and creamy finish made this beer a treat from beginning to end. My only criticism is the body was a little light for a dry stout, but that surely didn’t keep this from being a solid beer. The alt was very good. Flowery malts and toffee were present from beginning to end. The body was a little thick and stayed around, but not for too long. I give this beer a hearty recommendation. And last but certainly not least, the kolsch. The kolsch was exceptional; perhaps the best of the style I’ve had. A beautiful and lingering head provided heavy lacing on the glass from beginning to end. 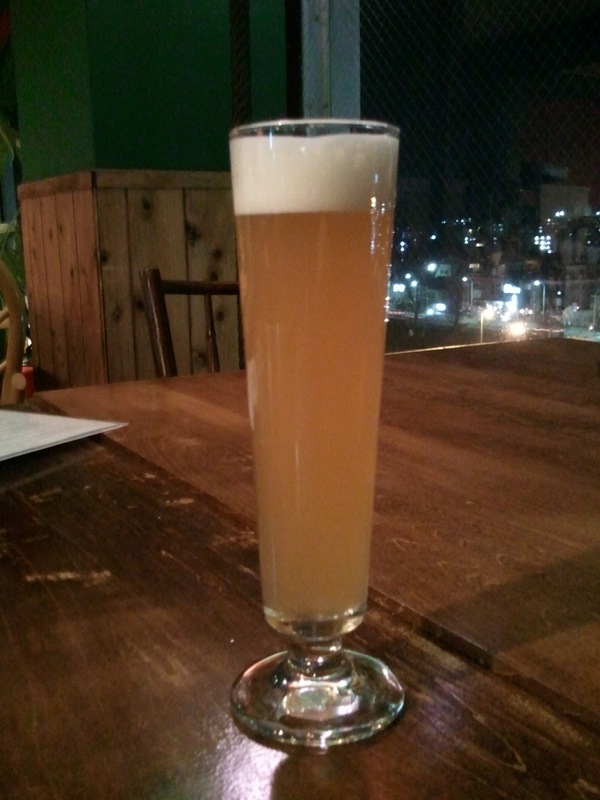 The beer itself was straw colored and crystal clear. The beer was light, sweet, and a little sour. Faint notes of strawberry crept in. This beer alone makes the trip to Kyoto Machiya a sure win. 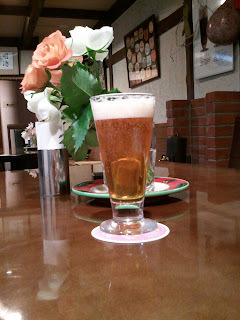 All in all, Kyoto beer impressed me. While the beer culture there is a little hard to find and out of the way, it’s well-worth the effort. I hope I have provided a few fellow brewrus with helpful info. Cheers! I think it's awesome the second brewery had a female brewer. Yay for her!! Is it possible to bring beer back if you visit a brewery? hey fellow beer lover, thanks for writing this post about Kinshi Masamune. I went there after spending a sweltering hot morning visiting Kyoto's beautiful temples. I think either they or my hotel provided an english speaking guide to meet me there when i asked them where it was. Although I wasn't able to tour where they make the beer, it was totally worth the trip because i learned about Kyoto's rich sake industry and then have beer at the adjoining restaraunt. I had some very good sushi and accompanying miso soup to go along with a few glasses of the alt beer.